Sony is inviting all fans to participate in the 5000 challenge, where their digital imaging knowledge will be put to the test in a series of trivia questions and mini games. Participants from South East Asia will stand to win up to 120 exciting prizes in total from Sony, while the top three winners from each country will each receive a brand new 5000, the world’s lightest interchangeable lens digital camera with built in Wi-Fi and NFC. To join the contest, participants will have to race against the clock and get their head in the game to answer 10 fun and interesting questions about the 5000 camera. Players with the highest scores and fastest timings will be able to win for themselves one of the 120 attractive prizes from Sony. For the player ranked first, he/she will receive a 5000 and Dual Lens Kit, together with a limited edition Alpha premium pack. The second and third ranked players will receive the 5000 and Single Lens Kit, also bundled with the limited edition Alpha premium pack. Players who want to beat their personal scores and challenge themselves for something higher are given a new try each week during the span of the contest using bonus points earned during the game. A serious step up from ordinary point-and-shoot cameras, the new 5000 puts pro-style picture quality in a beautifully designed body that fits easily in your pocket. Small and light enough to take anywhere, it’s a perfect alternative to your DSLR. While weighing just 210g (approximately, without lens attached), its compact body accommodates a built-in flash to brighten dimly-lit scenes. The camera’s handgrip is also re-styled for sure, steady handling with any E-mount lens attached. Picture quality is boosted with a DSLR-sized 20.1 effective-megapixel Exmor™ APS-C HD CMOS image sensor that captures huge amounts of fine picture information. Images are further enhanced by the new-generation BIONZ X™ processor shared with the acclaimed 7 and 7R full-frame cameras. Detail reproduction, area-specific noise reduction and diffraction reducing technologies ensure even finer textures and lower noise. What’s more, sensitivity is now adjustable manually right up to ISO 16000 for impressive pictures in fading light. Sony fans who are interested to participate in the contest can do so through the Facebook page at http://facebook.com/Sony.ImagingSEA, or at the following URL: http://a5000challenge.sony-asia.com. The contest will run for one month, from 31st March 2014 to 28th April 2014. 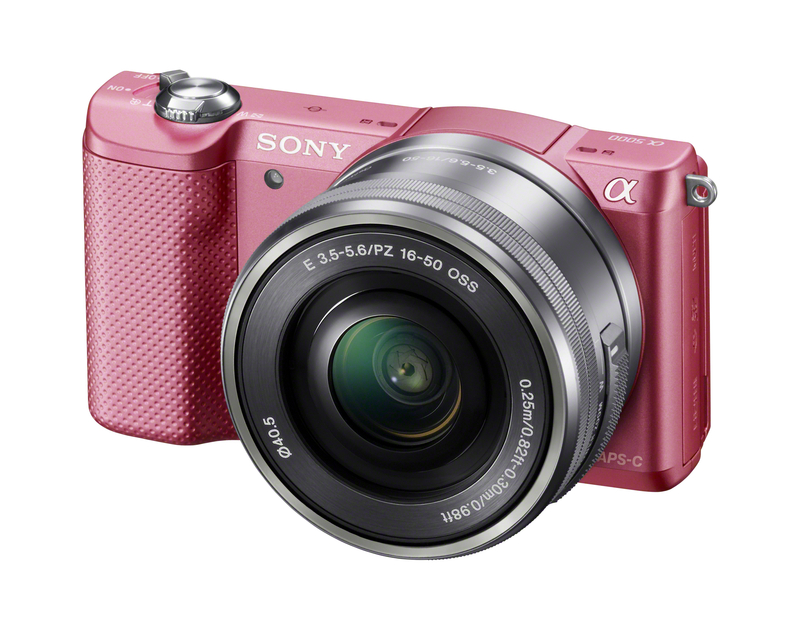 Among interchangeable-lens digital cameras equipped with an APS-C image sensor, based on a Sony survey as of January 2014.